Mom had a Vera sighting this morning at a meeting. 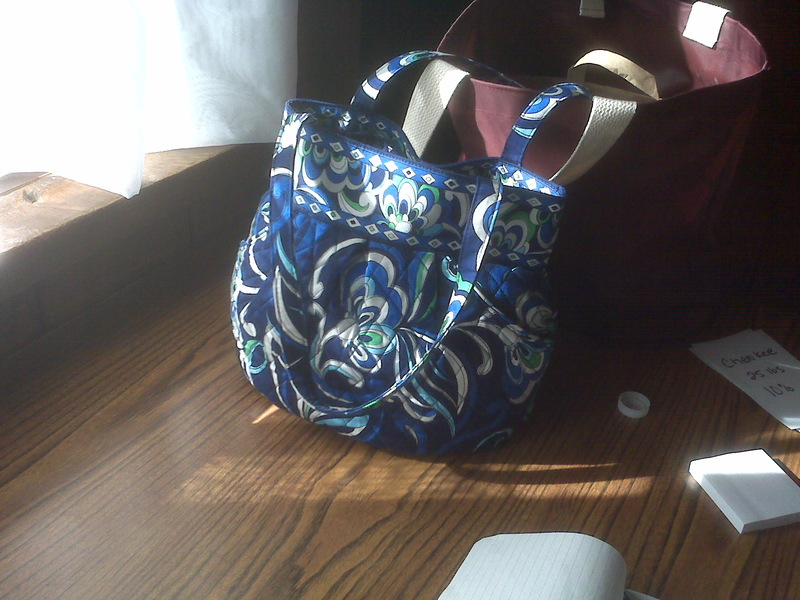 One of the women spotted my Mom's VB bag and then pointed out hers. They had a nice little chat about Vera Bradley bags. Mediterranean Blue Morgan.